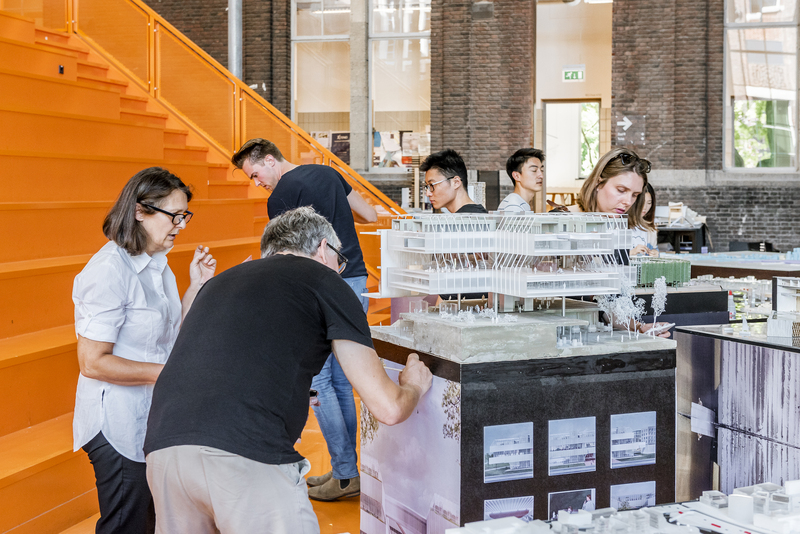 After a yearlong studio, a graduation show of the Complex Projects AMS Mid-City was held on 12 July 2018 in the Orange Hall of the TU Delft Faculty of Architecture. 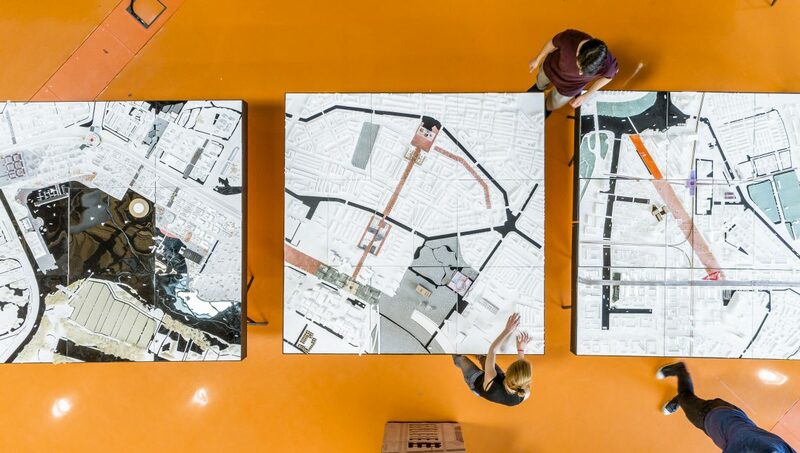 The itinerant exhibition already took place in Amsterdam’s ZuiderKerk earlier this June, and has arrived to TU Delft’s Faculty of Architecture just in time for graduation period. 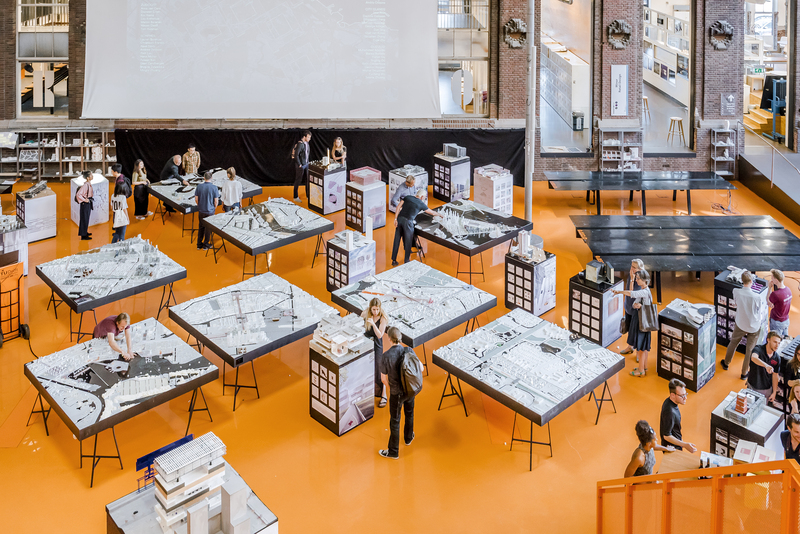 The Chair of Complex Projects teamed up with the Amsterdam Institute for Advanced Metropolitan Solutions, the municipality of Amsterdam and KAAN Architecten to focus on the theme AMSTERDAM 2050. 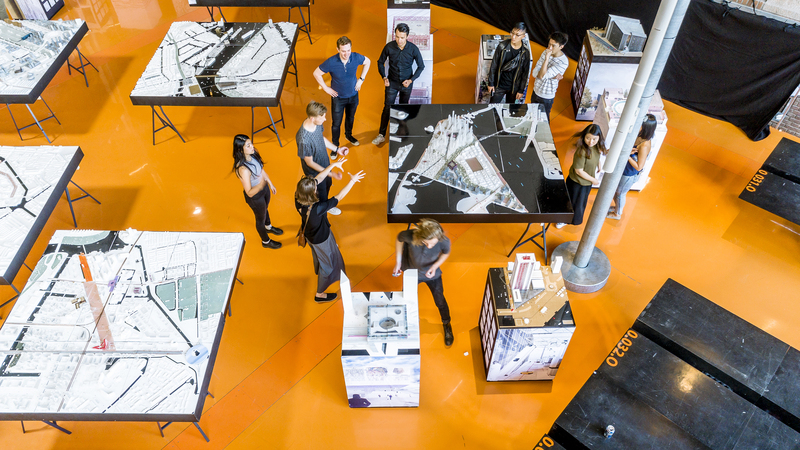 Almost 80 students, comprising more than 50 graduates, exhibited group models as well as individual projects. 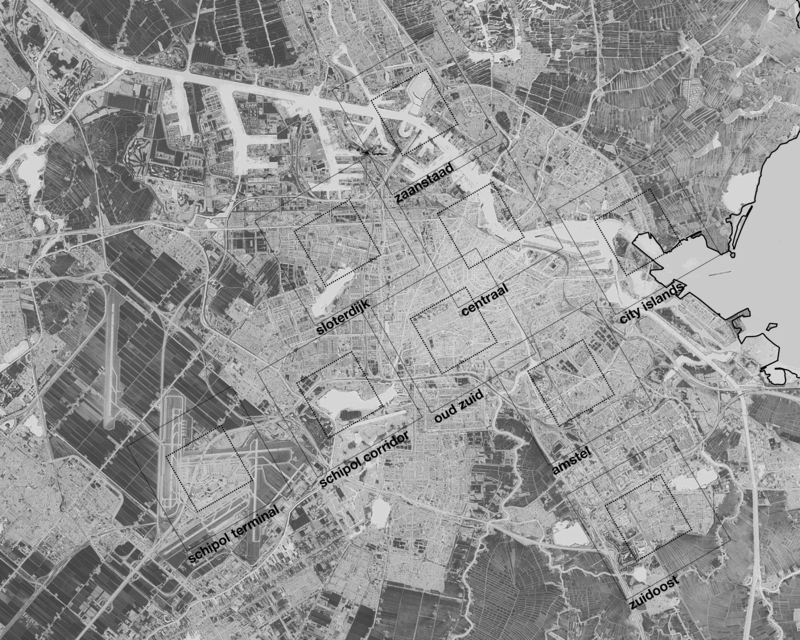 Group models sized 2.1×2.1 meters, represented scaled down areas of Amsterdam like Zaanstad, Centraal, Amstel, City islands or Schiphol Corridor. 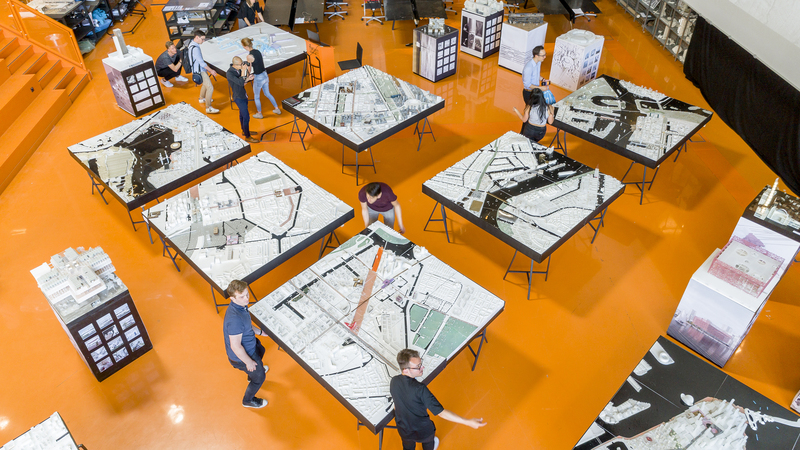 Students reimagined what the specific sites would be in 2050, based on a critical analysis of current findings and practices in the city. Some of the projects dealt with future mobility and connectivity in the city, ways of densifying the historic and UNESCO protected city center etc. 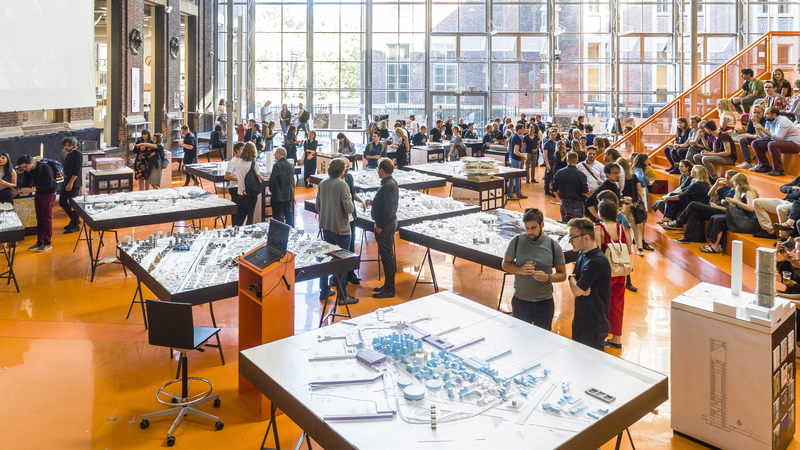 Other imaginative ideas include an organ factory, a drone fighting arena where part of the students work as well as a zero polluting inner-city energy production. 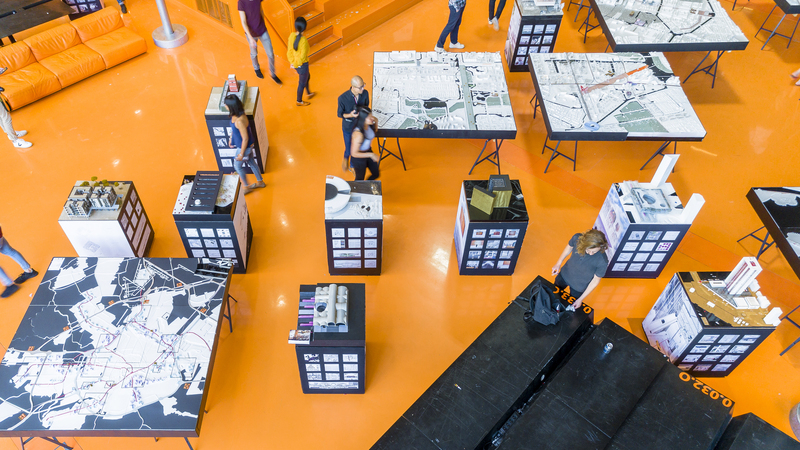 Aerial photos by Sebastian van Damme showcase the student interventions in their actual contextual relations. 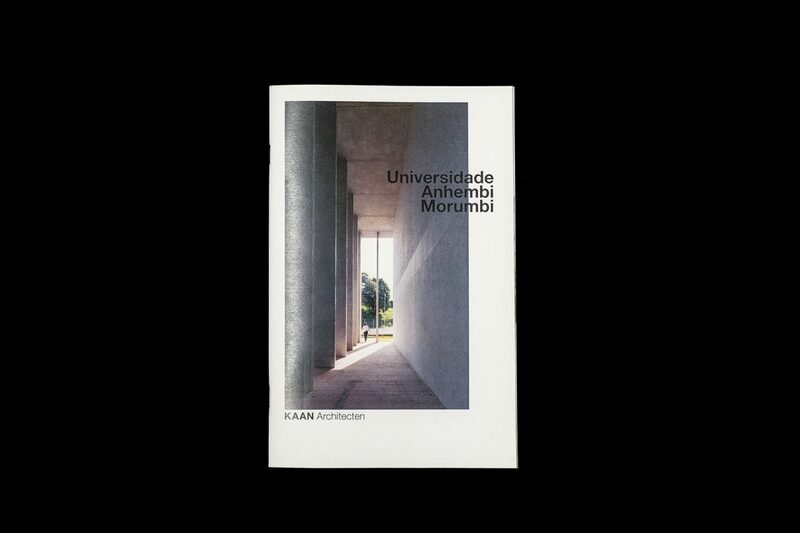 After completing two projects in Brazil just a year after the official launch of an outpost in São Paulo, KAAN Architecten has published a booklet showcasing the campus buildings of Universidade Anhembi Morumbi. The sibling buildings in Piracicaba and São José dos Campos are landmarks that firmly and visually open themselves to the city, giving the University a recognizable position within the architectural panorama. 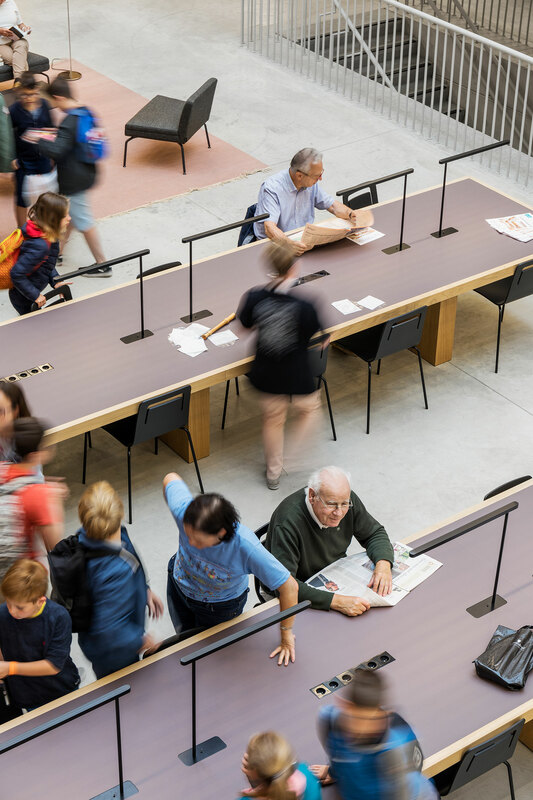 Adhering to the motto ‘two campuses, one architectural identity’, both projects feature representative facades and generous central common spaces based on sustainable building principles of inner climate control. The projects were coordinated by BRC Group. Browse the entire publication here. 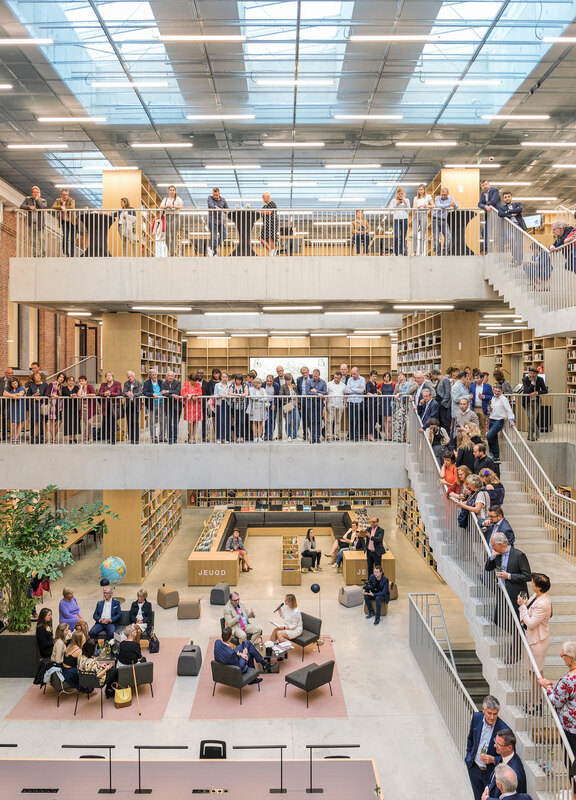 After almost two years of construction, Utopia Library and Academy for Performing Arts in Aalst has finally opened its doors to the public on Thursday, 21 June 2018. 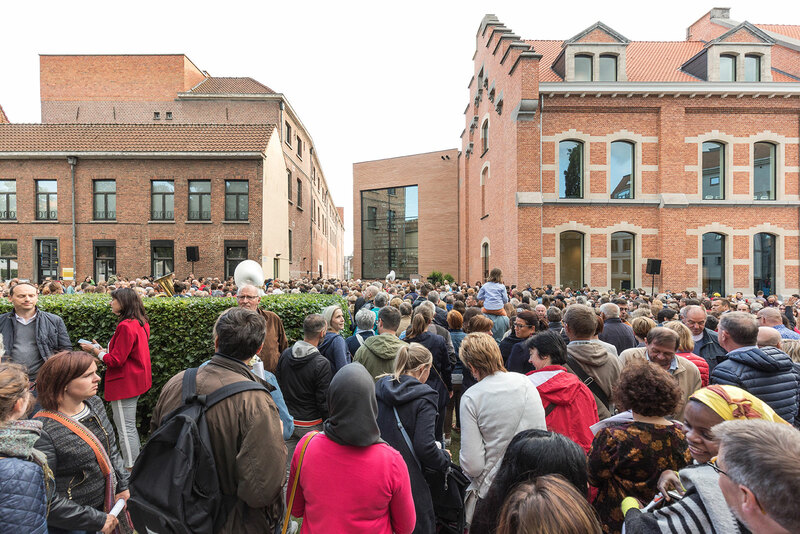 More than 25 000 visitors gathered for the opening festivities spanning over 4 days (21-24 June) where they participated in concerts, workshops and dance performances. 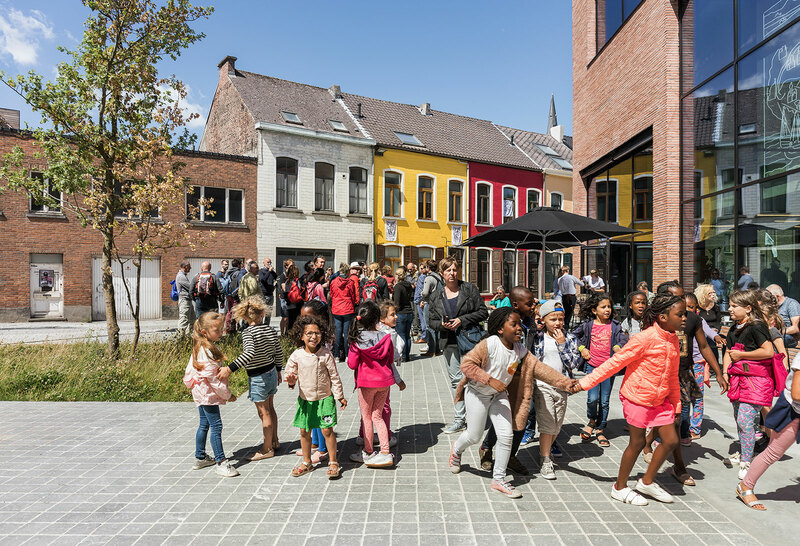 Official presentations took place on Friday, 22 June, with speeches from representatives of the Aalst city council, Utopia board of directors, KAAN Architecten and Aalst mayor. 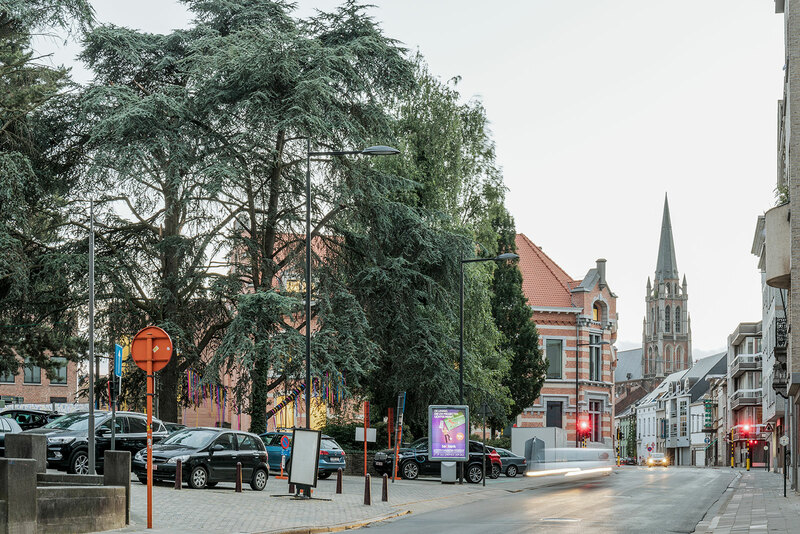 Following a competition in 2015, the Aalst city council chose to establish a Public-Private Partnership (PPP) based on a Design & Build contract. 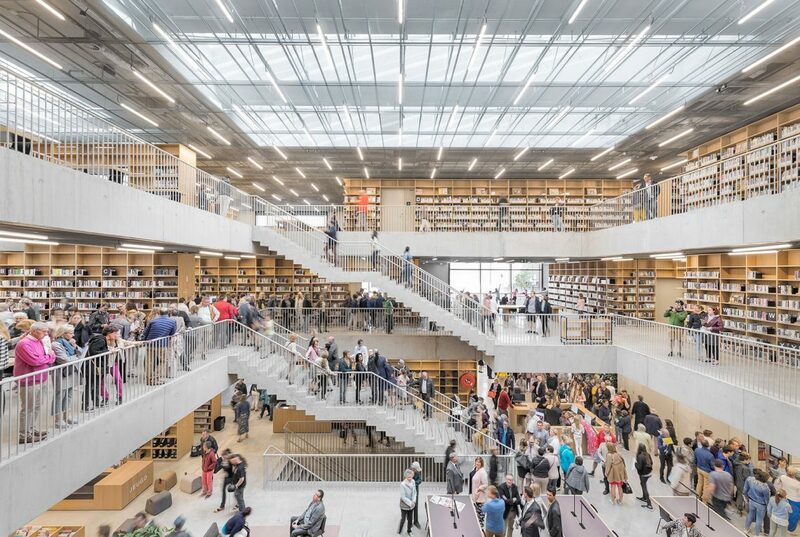 The project was assigned to a team consisting of Van Roey as main contractor and KAAN Architecten as architect, working in close collaboration throughout the whole project development and construction. 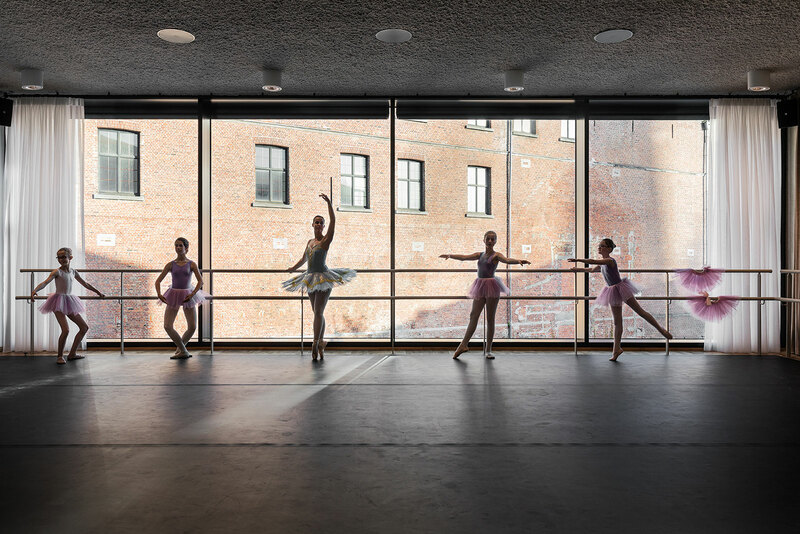 This new cultural landmark for the city incorporates a striking historic building from the second half of the 19th century and rejuvenates the urban landscape while elegantly giving expression to the required functionality. 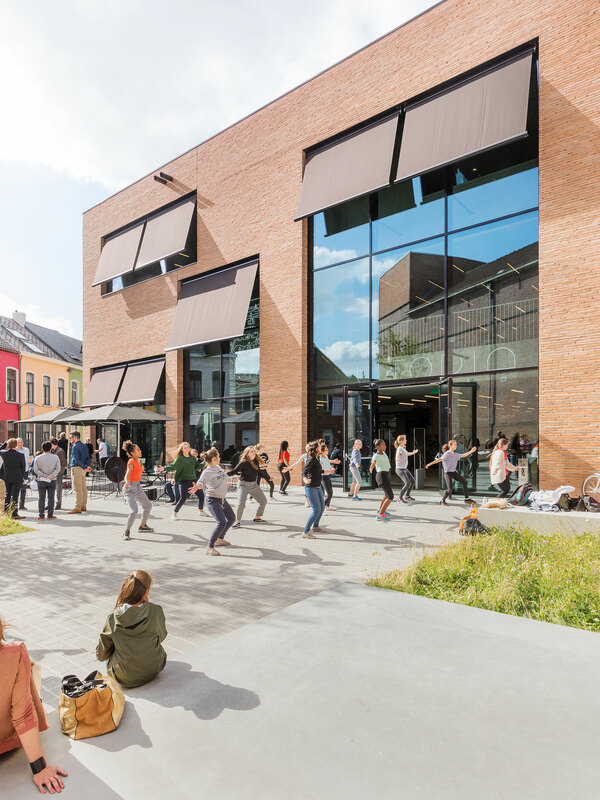 The desire of KAAN Architecten to interact with the urban fabric has been achieved: Utopia is already a reference point in Aalst city center, with citizens eager to enjoy and welcome a new landmark in their everyday lives. Continuing her work as a board member of the Fleur Groenendijk Foundation, Dikkie Scipio writes quarterly columns in response to the incoming funding applications. Her most recent column reacts to this quarter’s application ‘Controversial Heritage’ by Ankie Petersen. 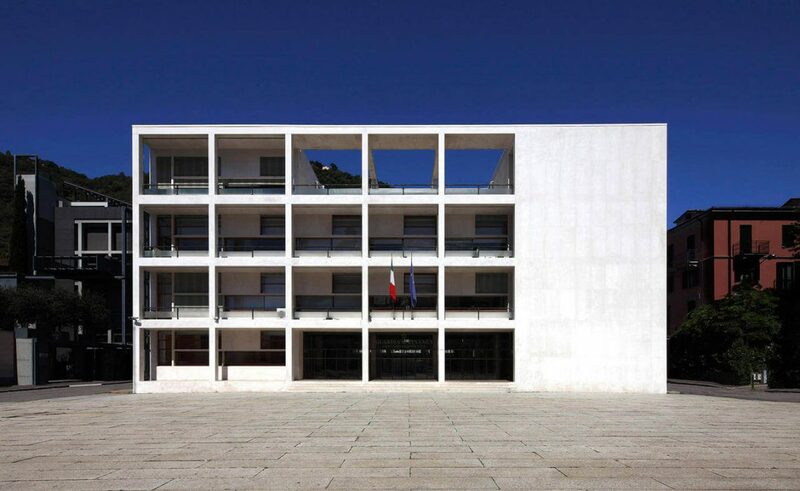 Aptly named ‘Beauty does not judge’, the essay discusses how we deal with politically charged heritage, and can we separate the valuable architectural and artistic opus from the regime that brought it about. The third issue of the book series by photographer Dominique Panhuysen has been published. 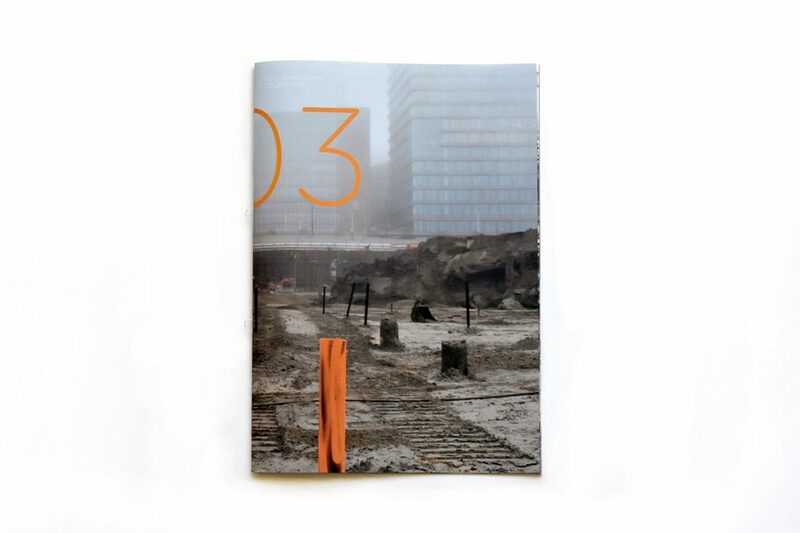 The series is dedicated to the New Amsterdam Courthouse construction site and building process. This latest edition features a look at the current groundwork and construction of the two underground levels. Spreading over approx. 10 000 sqm, the New Courthouse project aims to merge the city streets with the layout of the building, creating an extension of urban space within. 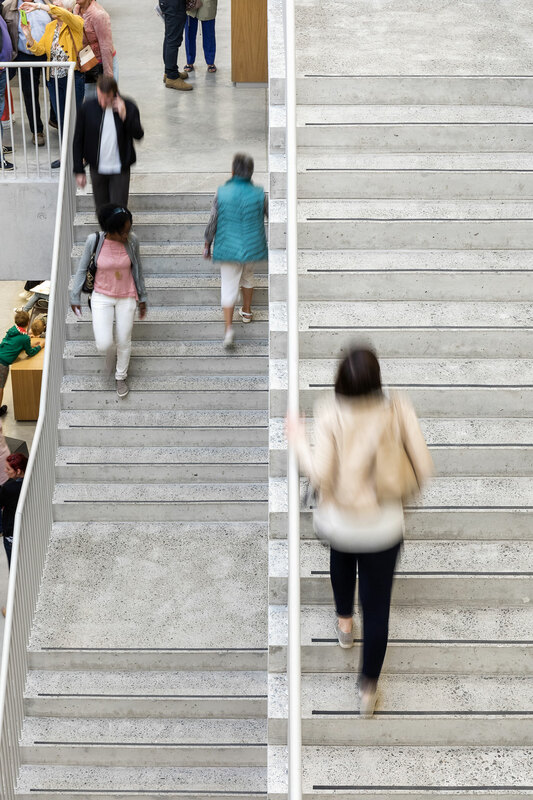 Comprising 12 levels, the building is exemplary in its efficiency, like the organization itself, and is part of the daily life surrounding it. 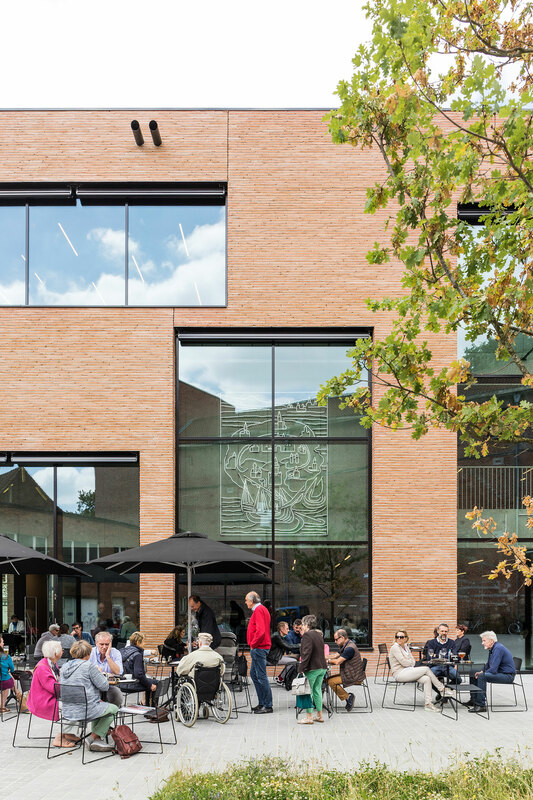 KAAN Architecten is undertaking works for the New Amsterdam Courthouse as part of a consortium which includes Macquarie Capital, ABT, DVP, construction companies Heijmans and M.J. de Nijs & Zonen, and Facilicom. Completion of the project is expected in September 2020. Browse the entire issue here! Complex Projects: Design or Planning?